Something changed yesterday. ECB chief Mario Draghi dramatically reversed his monetary stance in every way and dramatically downgraded his economic and inflationary outlooks - but instead of the market taking its cue from the former, it was the latter, real economy, that sparked chaotic concerns in markets as traders realized the central bankers are clueless (how did they not see this coming again?) and are practically out of ammo to do anything that could be spun as stimulating the economy to juice stocks even higher. 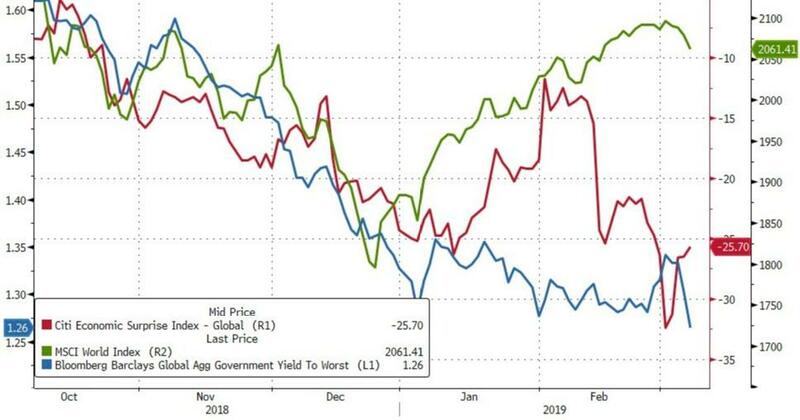 Overnight headlines from China confirmed the global economic slump as exports crashed, and while excuse-makers are out in force this morning already (as US and Chinese stocks tumble), former fund manager and FX trader Richard Breslow warns, "don't blame the weather for the market gloom." Simply put, it's the economy stupid (and the deluded stock market's gap to reality). The world has a decidedly downbeat feeling about it. And it's not because equities have given back some of this year's extraordinary gains. Nor does it have to do with the dovish actions from the ECB. Which weren't nearly as radical as is being portrayed. It was the hapless messaging from President Mario Draghi, as well as from Fed Governor Lael Brainard and the Bank of Canada's Deputy Governor Lynn Patterson. These three only get special mention because they were the latest messengers conveying an unpleasant reality. 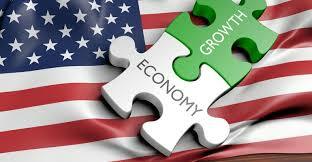 It isn't that we suddenly learned that the global economy has slowed and is continuing to do so. It was the clear implication that there is no reason to put much faith in official economic forecasts and they are making it up as they go along. It felt like we were airline passengers overhearing the pilot ask which one is the go pedal and which the brake. The ECB cut growth forecasts, largely catching up to what others have already been saying. The ink wasn't dry on the press conference handouts before we were getting inundated with reports that some ECB officials didn't think they went far enough. Draghi himself, in what was the most important comment of the entire event, said the risks are still to the downside despite the greater accommodation. He went on to make it clear, as if we didn't already know, that the central bank remains the only game in town. It would appear that they have little choice but to do more of what hasn't worked nearly as well as promised.